East Meadow, New York - August 28, 2014 - The Third Squad is investigating a Robbery that occurred on Thursday, August 28, 2014 at 11:35 p.m. in East Meadow. According to detectives, a male victim, 54 was returning to his Carol Road home when he was approached by three male Hispanics wearing dark clothing and hooded sweatshirts pulled over their faces. One of the suspects was holding a machete and demanded the victim’s money. A struggle ensued and the three subjects fled on foot with an unknown amount of cash and the victim’s keys. The victim suffered a small laceration to his finger. 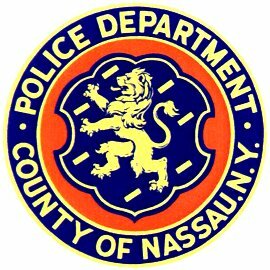 Detectives request anyone with information regarding the above crime to contact Nassau County Crime Stoppers at 1-800-244- TIPS. All callers will remain anonymous. Subject: LongIsland.com - Your Name sent you Article details of "East Meadow Resident Mugged By Hooded Assailants"